Danny suggests Holiday BBQ Parties for unforgettable gatherings your guests will talk about for decades. Think outside the box and serve the Authentic Texas Barbecue you crave! 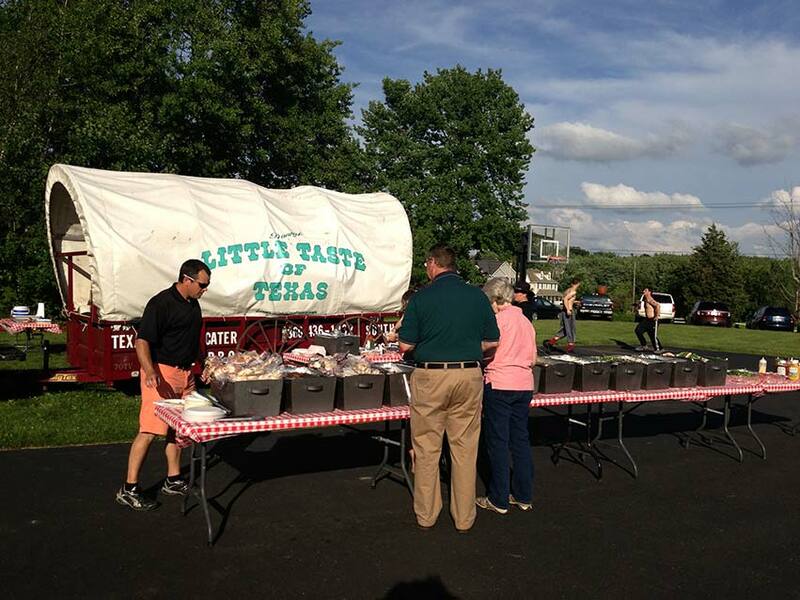 The best BBQ Parties in Connecticut are catered by Danny’s Little Taste of Texas! Who else but Danny can serve up the best Texas Barbecue year round? Danny’s Little Taste of Texas is known far and wide for catering the Best BBQ Parties in the northeast! Nothing is more fun or memorable than a party catered by Danny’s. We feature BBQ style catering ‘Texas Style’: dry rubbing, and slow smoking all of our meats. Danny’s BBQ Party Catering Menu includes Pig Roasts, Grilled Steaks, Chicken, Fried and Grilled Fish, Clam Bakes, Pulled Pork, and our choices of delicious sides, and appetizers. We love to serve our amazing smoky meats and authentic Texas sides, and we are confident you and your guests will completely enjoy our food.